Sunday morning and Sunday night with Harry and Cheryl Prewitt Salem at The Lord’s Church. 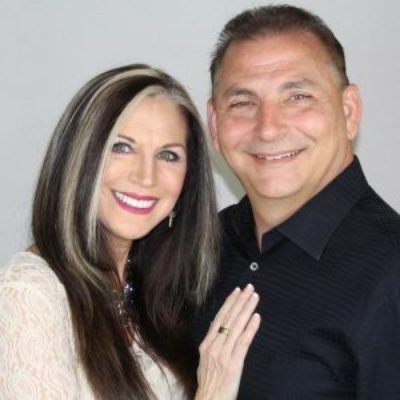 On Sunday, March 24th, join us for our guests Harry & Cheryl Prewitt Salem. They have a very special ministry that will touch you and your family! Both services will be perfect to bring guests for this very special Palm Sunday! Make sure to come back that night at 6:30 too! Harry and Cheryl Salem are ministers of the gospel. They are parents to sons, Harry III and Roman. Roman has married a beautiful young lady, Stephanie, and she has become their daughter-in-love. Healing and restoration have come full circle for the Salem family with the miracle birth of Roman and Stephanie’s baby girl, Mia Gabrielle. She is named for their daughter, Gabrielle Christian, who is in heaven since 1999. Their latest joy will be arriving in March 2017 with Roman and Stephanie’s second miracle baby of restoration for the Salem Family! The Salems have seen the altars flooded with people receiving salvation, with countless re-dedications, with miraculous healings and with bodies, lives, marriages and souls being restored because of His mighty anointing! Cheryl was crowned Miss America 1980, but tremendous adversities nearly ended that dream before it began. As a young girl, she survived a horrific car crash that cracked her back and crushed her left leg, resulting in a physical handicap and over 100 stitches in her face. Harry quickly made a name for himself in the corporate world, becoming a major executive before the age of 30, but he knew that there was more. He and Cheryl met, married and started their family, but it wasn’t until the mid-nineties that Harry had an encounter with God that changed him forever. He let go of the pain of growing up without his father and the stress of the mantle that had been placed on his shoulders at such a young age. He began to trust God – and he has never looked back. Salem Family Ministries presents We Who Worship Gathering annually, a worship event, which includes worship, dance, art, musical theater and drama. They are walking out the Lord’s plan set before them for School of Worship, intensive training sessions, where the Salems teach, impart, and personally work with students to help them grow to the next level in their worship life and ministry. Both Harry and Cheryl are sought-after ministers, who speak in churches and events across the nation. Harry has a heart for men, preaching and teaching on overcoming issues in life. Cheryl is a popular preacher at ladies events, encouraging women to reach their godly potential, but the focus of Salem Family Ministries is to take this unique, tag-team style of ministry into churches, two by two, to reach families for God, one by one.